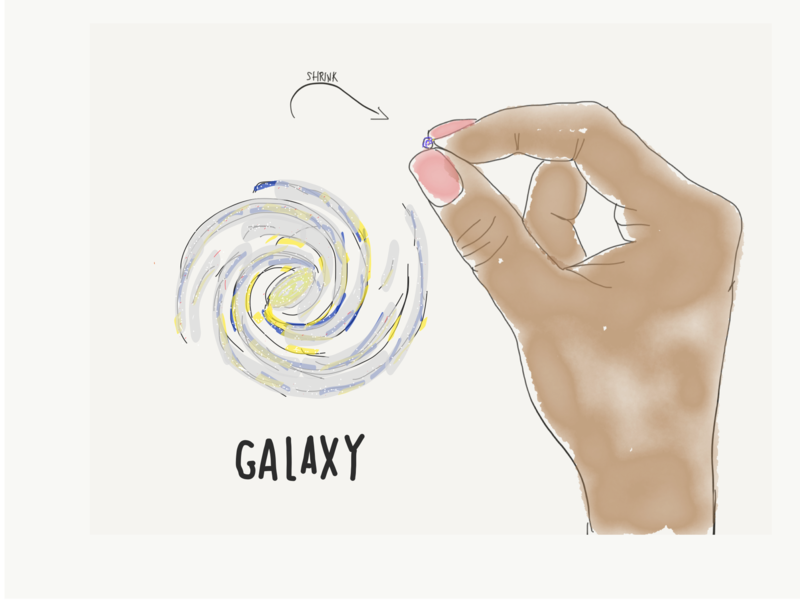 Compared to the size of the universe we are very, very tiny. Take a quick trip with me and you will begin to understand. 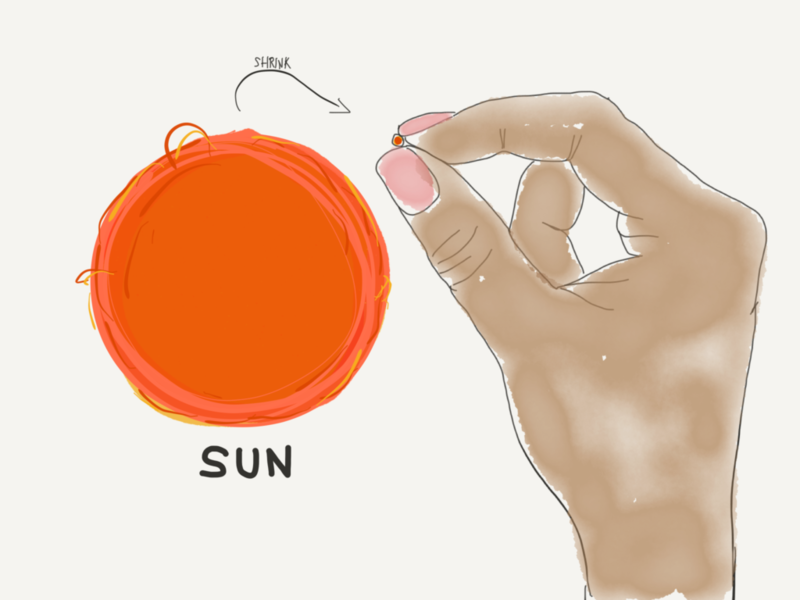 Imagine our Sun is the size of a grain of sand. Now line up 10 grains of sand. That’s about 1 centimeter – the width of the tip of the pinky on your right hand. Make it a line of 1000 sand grains and you’ve got 1 meter of sand grains – imagine that these sand grains are 1000 stars – about the number you can see on a very clear night in the suburbs from your back yard. Now, imagine making that line of grains of sand/stars into a 1×1 meter square “mat” of stars. That is 1000×1000 stars = 1,000,000 (1 million) stars! If you counted these sand grains at a rate of one per second you would be counting for 11 days straight. Let’s go from 1 million stars to 1 billion stars. 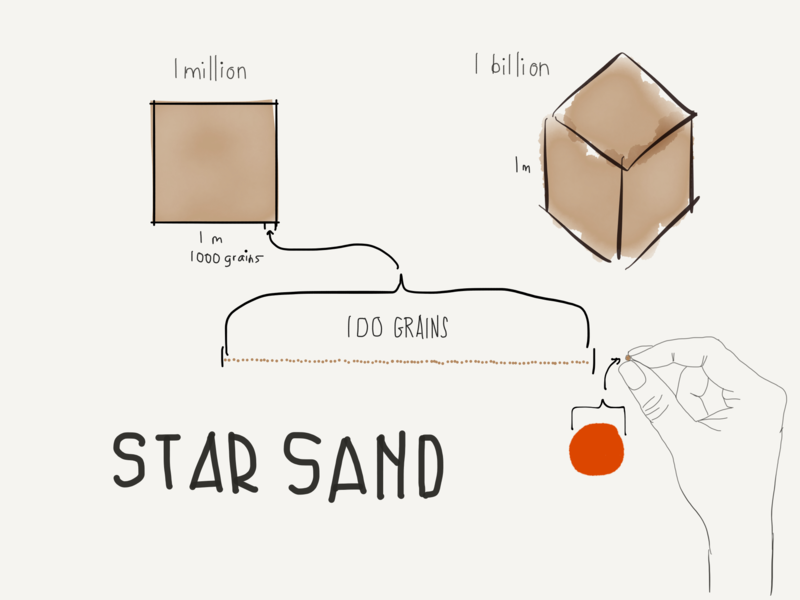 Make the “mat” of sand a cube that is 1000 grains high and you now have 1 billion stars of sand. 1 billion stars – a massive pile of sand! Each one of them stars, just like ours. To give you an idea how much bigger a billion is than a million… If you counted these grains at one per second you would be counting for 31 years without a rest! Now, picture a tennis court. 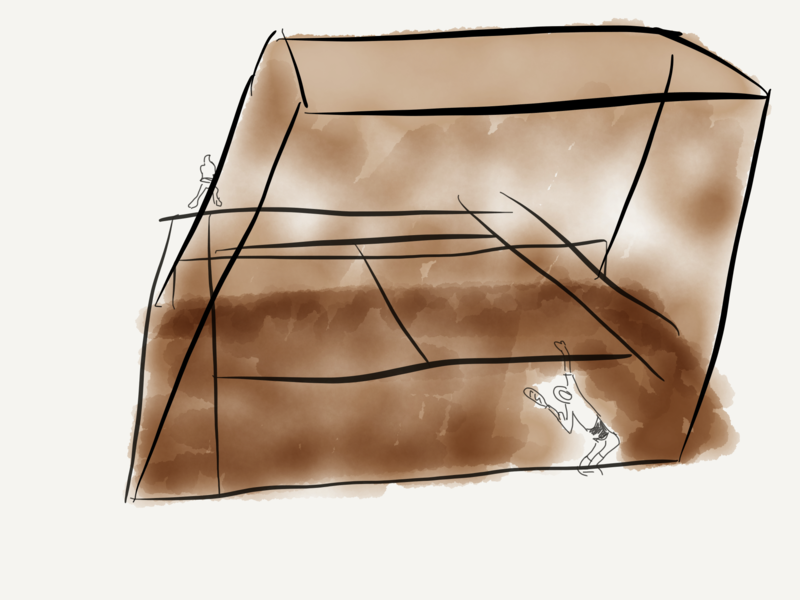 And take those 1 meter cubes of sand and cover half of the court with them. Half the court piled 1 meter high with grains of sand. That’s about 100 billion grains of sand. Pile it 10 meters (30 feet) high and you’ve got 1 trillion grains of sand. In the Milky Way Galaxy (our galaxy), there are between 100 billion and 1 trillion stars (grains of sand). The Sun is ONE OF THOSE stars (grains of sand)! One. It’s an astonishing idea. Just imagine. OK, let’s amp it up. If you don’t feel tiny yet, get ready! Repeat this process now, but this time imagine a single galaxy is the grain of sand. Start with 1 grain, then 1000 (1 thousand, the line), then 1,000,000 (1 million, the mat) then 1,000,000,000 (1 billion, the cube) then 100,000,000,000 (1 hundred billion, the half tennis court) then 1,000,000,000,000 (1 trillion, the half tennis court piled with 10 meters of sand). Now, please take a breath before you read the next paragraph. Scientists estimate that there are about 100 billion to 1 trillion galaxies in the known universe, each containing a similar number of stars to the Milky Way.